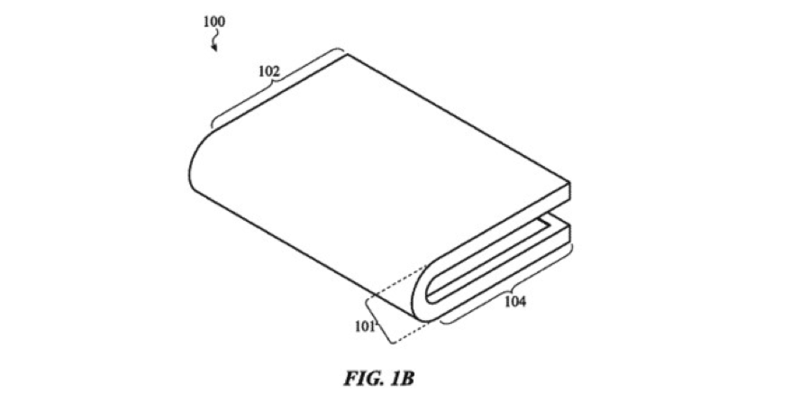 Apple’s recent patent’s show a thin display being folded in multiple different ways, including folding in half to close like a book, or a zigzag fold like a brochure to show only a third of the display while hiding the remainder, or even to roll the display on itself. In order to cope with the compressive stress, the layers would be treated by having material removed from sections in grooves, replaced instead with transparent filler material to keep the surface flat. When compressed or stretched with the bend, the display will more easily flex at the thinner sections, while the compressive material supports the thin display section. For the cover, there is less of a need for filler material, but it can both be affected by folding stress, as well as dictating where the folds can be. In one example, the cover can be made up of multiple layers that drift apart during a fold, and as a byproduct of making it easier to fold at those points compared to more solid areas, can help guide folds to take place at the manufacturer's ideal positions. 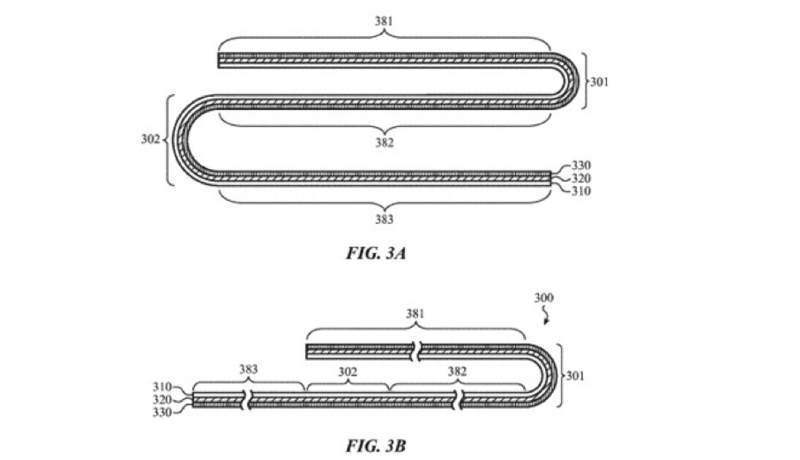 Apple has explored the foldable display concept for quite some time, and has suggested the use of flexible elements to combat stress in a display in another filing from July. One filing from October 2017appeared claimed Apple was collaborating with LG to produce a flexible OLED iPhone by 2020. Another related patent granted in November 2016suggested the use of a hinge and a metal-backed flexible OLED panel to produce a foldable smartphone that could clip onto clothing for storage when not in use. While Apple regularly files patent applications with the USPTO, the publication of an application or the granting of a patent is not a confirmation that it will appear in future Apple products. 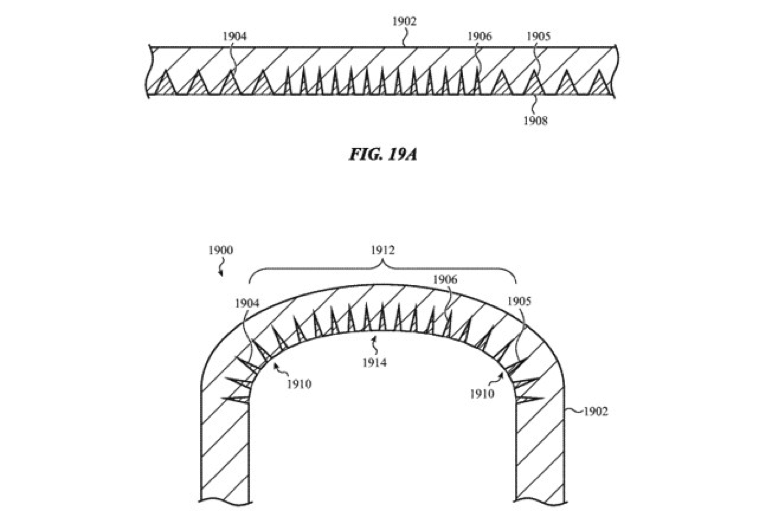 Since a number of display makers have filed similar patents for foldable displays and since Apple does not make OLED displays, these applications should be viewed as protection for future products.